Articles providing details on technical requirements for the games and the teacher dashboard can be found here. To ensure the best experience while running the game in a browser, please ensure you have the latest version. The list below provides the names of popular browsers as well as links to instructions provided by their support team that will help you get the latest version. Google Chrome - Click here. 4. Check to ensure the game/website isn't currently experiencing an issue. You can do this by checking our latest reports on known issues and planned maintenance periods found here. You can also stay up to date on updates and issues though our Zorbitès Math Adventure Twitter feed here. If you get the message "You need a browser which supports WebGL to run this content” when trying to load a game in Chrome, it might be because hardware acceleration is disabled. Click to fill the checkbox to the left of "Use hardware acceleration when available"
6. Clear your cached images and files. Your browser stores game files temporarily to make the process of loading the game faster. If these files get out of date or corrupted for any reason it can cause issues loading the game. Browsers provide ways to clean up this history and resolve these issues. The list below provides the names of popular browsers as well as links to instructions provided by their support team that will help you clear your "cached images and files". Once you have followed their instructions, restart your browser and try loading the game again. Google's Chrome - Click here. 7. Add the following addresses to your firewall's list of accepted domains. 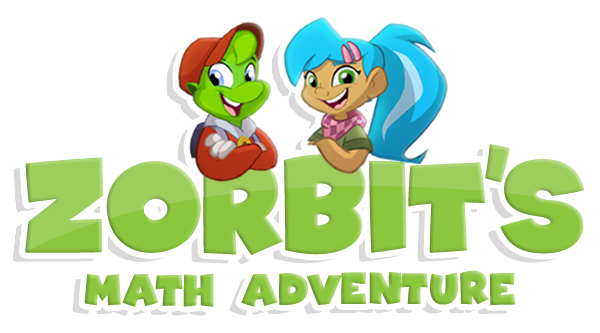 Load each of the Zorbit’s Math Adventure games you will be using in your classroom on each computer before your students start to play. This is because the games will load the slowest the very first time they are played on a new computer. After that, loading times will be faster. If you and your students are unable to play online in a web browser, try the playing on an iPad device. Play on your iPad: Search "Zorbit's Math" in the App Store on your iOS device. If, after taking these steps, you're still having issues then please contact our support team by email at support@zorbitsmath.com.